If you require developers for standalone 3D software or 3D plugins, you have come to the right place. Having years of experience in the field of 3D software development, we can offer software expertise, you will not be able to find anywhere else. This includes: Autodesk 3DS Max, Autodesk MAYA, MAXON Cinema 4D, Autodesk AutoCAD, Blender, Mental Ray, Iray and many more. How about adding some extra functions to your software? Ever so often you come across crucial elements that could improve the 3D workflow. These missing functions can be added with a custom 3D-plugin. These include special shaders, scripts, modifier, new camera lenses which allows the automation of recurring manual processes and optimizing graphics and rendering pipelines. We are happy to develop your individual 3D Plug-In for CINEMA 4D, 3DS Max, Maya, AutoCAD, Blender and many more 3D applications. NVIDIA Iray is a highly interactive and intuitive physically based rendering technology that generates photorealistic imagery by simulating the physical behavior of light and materials. Unlike traditional production renderers, Iray delivers results reflecting real-world behaviors. Designers don't need expert knowledge of computer graphics techniques to quickly achieve photorealistic results. 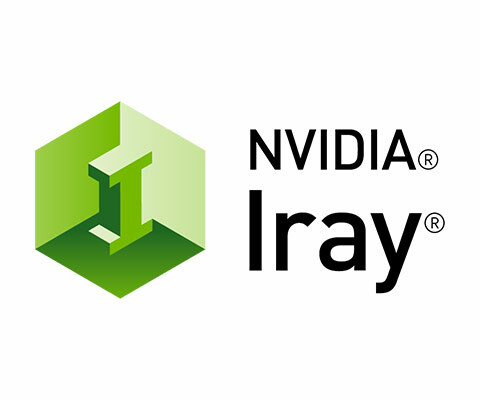 We're proud to be NVIDIA's development partner for implementing Iray for Cinema 4D in MAXON Cinema 4D. Supported by NVIDIA, we were working hard on creating this great new piece of render software. Almost every 3D workflow includes manual, time-consuming and prone-to-error tasks, that need to be done nevertheless. Using tailor-made 3D software, plugins, scripts or modifiers, you can automate parts or all of the graphics and rendering pipeline. This will save you time, money, offers you an advantage over competitors and greatly increases your teams motivation. Improving the workflow trough automation will compensate the one-time development costs of the plugin faster than you would imagine. Let's analyse together how you can benefit from a custom 3D development - just contact us where you will find staff that pride themselves on quality and friendliness. No-fuss and free of charge advice guaranteed. Mostly, a 3D agency will not be using just a single application on only one workstation: importing 3D data from CAD (like AutoCAD), exporting them to post production or exchanging them via network may be tedious, prone to errors or simply not possible at all. Why settling on this? With our software you are no longer limited to just the core functions but you are also able to define the interfaces to fit just your needs. Your software environment does not change but your data exchange becomes more efficient. Interested? We can develop connections between all major 3D applications like MAXON CINEMA 4D, Autodesk 3DS Max, Maya, AutoCAD, Blender and many, many more. Would you consider yourself as someone who is a leader rather than a follower when it comes to technology? Join our success story and be benefit from steady development of new applications, our strong network in the 3D community as well as our passion to create sustainable values that will set us on fire for your project, too. REALEYES™ GmbH produces displays to portray 3D images without the use of any external devices. First of all a 3D CG model of the motive is being created. This image will then gets applied to multiple layers of lens plates. These lens plates fit 250.000 micro lenses per square meter - each of them is as small as the head of a match. Each of the 250.000 lenses display the complete image with the tiniest offset to generate a three dimensional object from the 2D image. In order to process vast amounts of images required, whilst considering costs and time efficiency, REALEYES has consulted us. 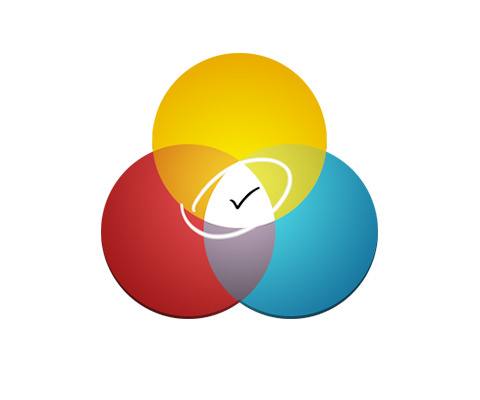 Creating a software that improves their workflow was a challenging task. We have created specialised lens shader plugins for the 3D software that they already use: 3DS Max and CINEMA 4D. Using these plugins, the process of creating images for the 250.000 lenses became completely automatic. By creating new algorithms, we were able to reduce the render times by 92% and thus made it possible for the client to not only use single images but even to create animations in an efficient way. "We reduced our render time by 92% - made possible by at². Their co-operation and support was greatly appreciated."